Alright, this is another cliche blog post on "What is in my work bag?". I'm sure you won't be stranger to this kind of blog post. I always love to watch other Youtubers on sharing their latest haul, organizing tips and what do they carry in their bag in daily basis. As a person who constantly travel to work, often time I need to detox my carry-too-many-things habit so that my bag is not too heavy to carry. And yes, having the ESSENTIALS, let me rephrase it E-S-S-E-N-T-I-A-L-S are great because: One, your bag is not going to over loaded; Two, it is easier to find your stuff in the bag. Yep, I'm guilty on that especially in looking for car keys, parking tickets, tissues, movie tickets, etc. Anyway, I have tried my level best to keep things simple. So let me share with you my current work bag and stuff I have during my work day. I have to say, it is really hard to find a tote bag that is sturdy and works at a laptop bag as well. I bought this bag back in January when I was just joined a digital marketing company, it is crucial to have functional bag that fits my laptop and my other essentials. I don’t like to carry a laptop bag/backpack and a purse as it is troublesome. The moment I saw this bag, it was a calling that I have to own this bag. This is where the magic happens: I always carry an A5 notebook and Crystalline Ballpoint pen from Swarovski where I jot down important notes when meeting clients or brainstorming. In addition to have ultimate productivity, having laptop and smartphone are the necessity. I have been using UTOO powerbank for two years and yet to have any complains. As mentioned, I have tried my level best to keep my essentials ESSENTIAL, if you get what I mean. 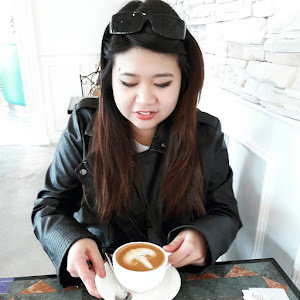 Currently I have been loving Korean beauty products because it suits Asian skin and I can rock my natural look with their gorgeous products. I have switched my cushion compact to THEFACESHOP CC Intense Cover Cushion for better coverage. Although it claims that it is long lasting but judging on Malaysian weather, it ain’t gonna happen. I still have to reapply after lunch. The History of WHOO Gongjinhyang Mi Luxury Lipstick is my ultimate must-have for my daily work look. Not only that it comes with gorgeous luxurious gold packaging with a mini lip liner, it gives me the positive vibes to conquer the day! I’m not kidding, their colour is super gorgeous! To overcome the crazy weather, I always always ALWAYS carry a face mist and UV Spray whenever I go. Here I have Innisfree Jeju Lava Seawater Mist and Skin Aqua Sutra Fit UV Spray which I just bought and it works pretty well on me. The spray function is convenient for reapplication! I also carry a travel sized perfume (Victoria Secret’s Tease Eau de Parfum – my graduation gift from boyfriend which I adore so much!) and Rohto Cool Eye Drop for my tiring eyes.